After the reception, all the raw materials must be removed from the supplier’s packaging to the customer´s one. This phase must include cleaning, dedusting, selection and classification. 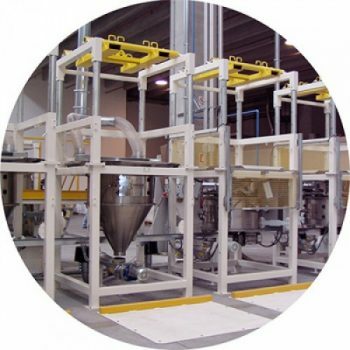 Solutions for the reception of ingredients with secure unloads and emptying, easy/ergonomic and clean, complying with present regulations and guidelines.